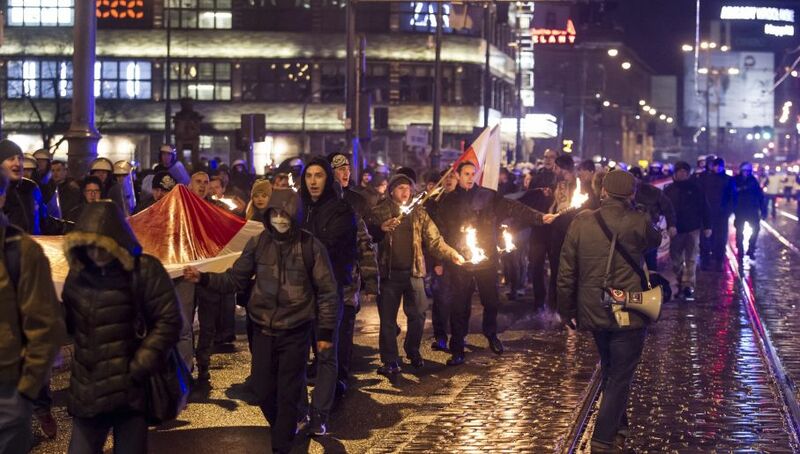 The court in Wrocław, south-western Poland, decided to lift a ban of the Independent Poland March, organised by far right groupings, imposed on Tuesday by Rafał Dutkiewicz, the mayor of the city. The organisers of the event went to court and submitted a complaint regarding the mayor’s decision. The court agreed with their motion and overturned the decision of Mr Dutkiewicz. Mr Dutkiewicz added that he made this decision after consultation with Jacek Sutryk, who was recently elected as the successor of current mayor. On Wednesday, the mayor of Warsaw also banned a similar march, the Independence March, scheduled to take place on Sunday in the capital of Poland. On Thursday morning, the organisers of the march appealed against it to court, which is expected to announce the decision in the evening. Soon after the ban was announced, Polish President Andrzej Duda and Prime Minister Mateusz Morawiecki declared that the government will organise a “white-and-red march”, under the patronage of the head of state.